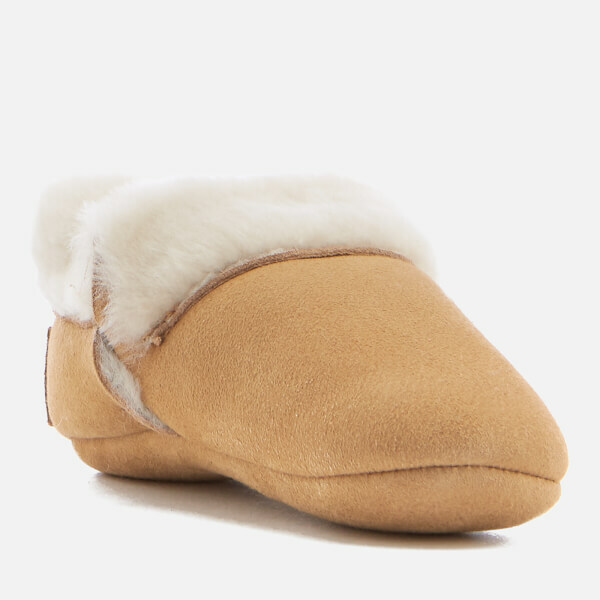 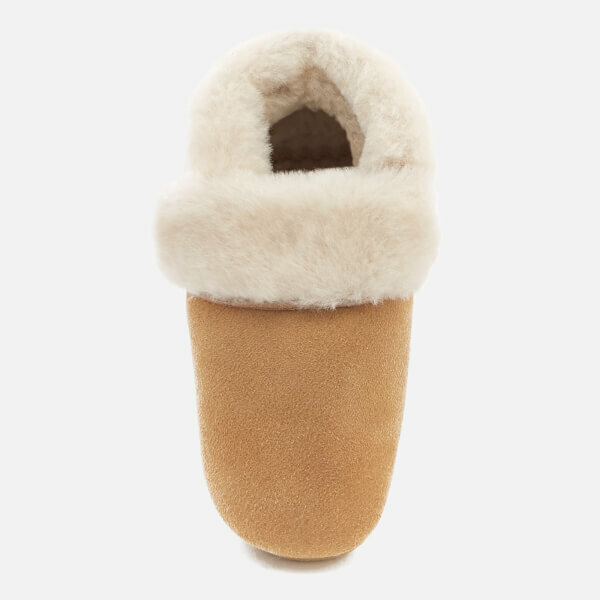 Babies’ pre-walker shoes from UGG. 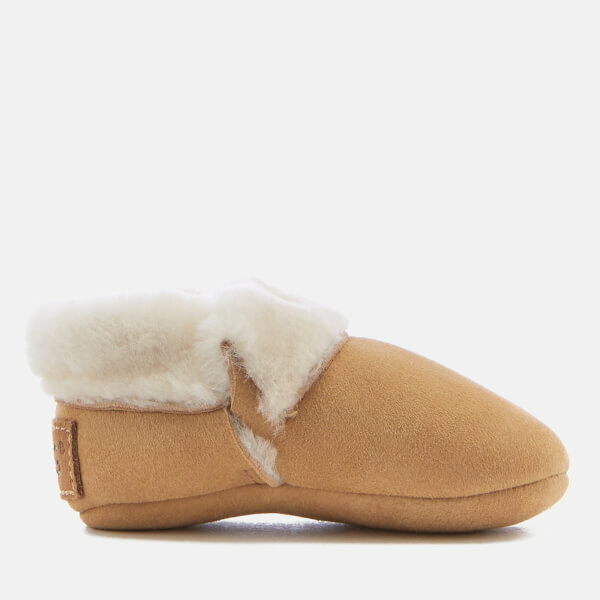 Crafted from smooth tan sheepskin, the 'Solvi' pre-walker shoes are lined with soft and warm cream sheep fur. 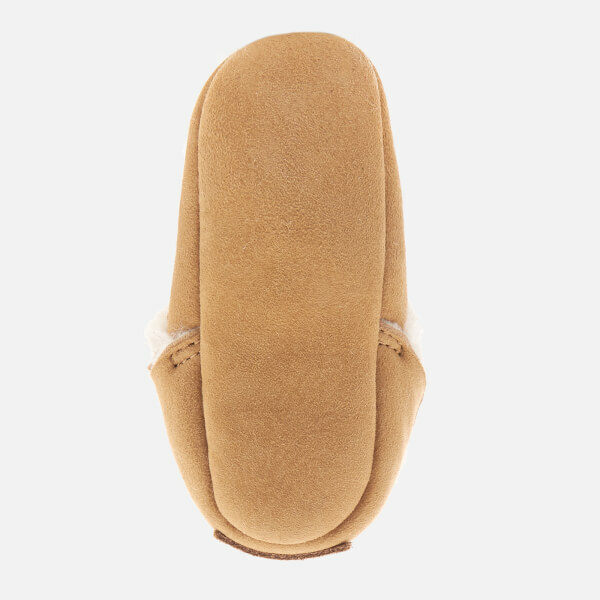 The baby booties are finished with a signature logo patch on the heel.